Busch Gardens Tampa Bay – Something for everyone! 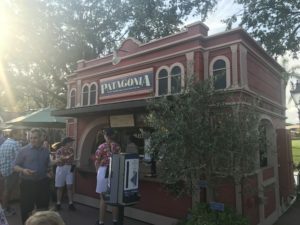 Home Tags Posts tagged with "Epcot Food and Wine Festival"
Find out more about Epcot, it’s FastPass attractions, four annual festivals and touring plans for all ages below. Epcot opened in 1982 and was the second park built at Walt Disney World. It’s often one that gets overlooked as many first time guests state their kids won’t love it and they can easily skip it! Epcot is often a favorite for repeat park goers and I highly suggest you spend a day here during your Disney vacation! Epcot has so much to offer guests of all ages! It’s true, there are fewer rides at Epcot than other Disney parks but that will soon change with the opening of Guardians of the Galaxy and Ratitoulle rides in the next few years. Kids and adults will enjoy exploring the World Showcase, meeting characters, strolling one of Epcot’s many festivals and of course riding its great attractions! Epcot operates on a tiered FastPass system. This means that guest are not able to select all of the most desirable FastPass attractions at one time. This ensures there are enough E-ticket attraction FastPasses to go around. Guest may select one FastPass from the Epcot FastPass Tier One attractions. Guest may select two or three FastPasses from Tier Two. Rider Swap is a great way to get all willing and tall enough guests on the attractions together when one member of the party is either too short to ride or does not want to ride. When you approach the Standby or FastPass entrance simply let the Cast Member know that you’d like to rider swap. The Cast Member will give you a paper FastPass that can be used for up to 4 people. The first group will ride while one adult and unwilling/too small participants stay behind. 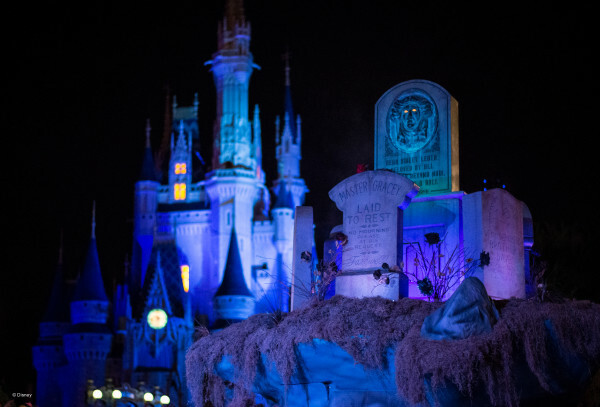 After the first party returns the adult that stayed behind will be able to use the FastPass entrance to ride the attraction along with the other members who just rode. This system is a fantastic way for everyone to get to experience the attraction together even when some aren’t able too. 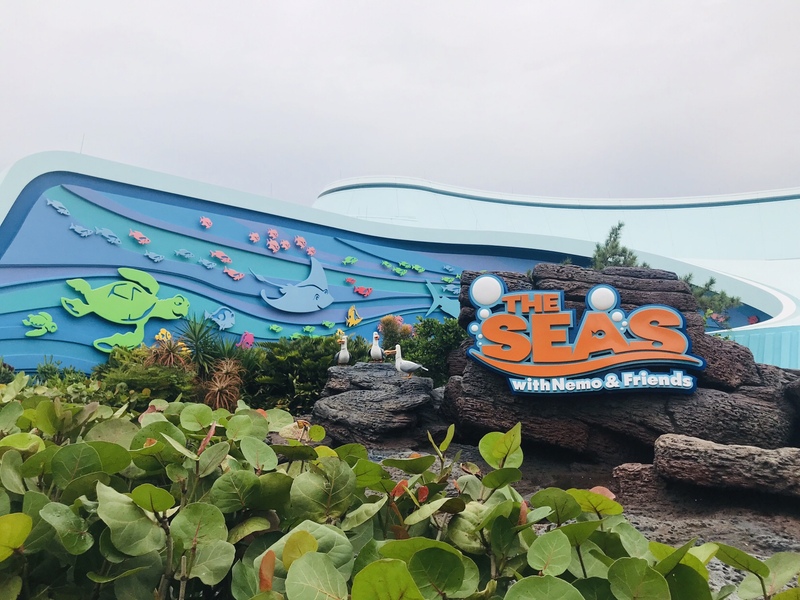 It’s also a great way for the kids to be able to experience many of the attractions twice! If a height is not listed, there are no height restrictions for the attraction. The only single rider line at Epcot is Test Track. 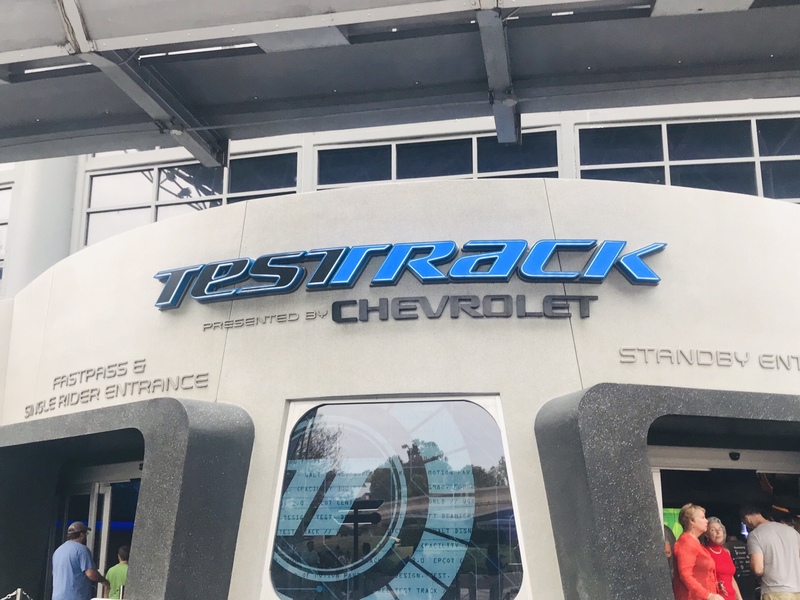 When you arrive at Test Track there will be three places to enter the line. FastPass, Standby or Single Rider. If you are by yourself or don’t mind splitting up your party you can choose the single rider line to move through the line faster. There is no real way to determine how long you’ll wait because Cast Members will use single riders to fill in any available space on a party that has an odd number of guests. *Characters are subject to change and some are not available all day. 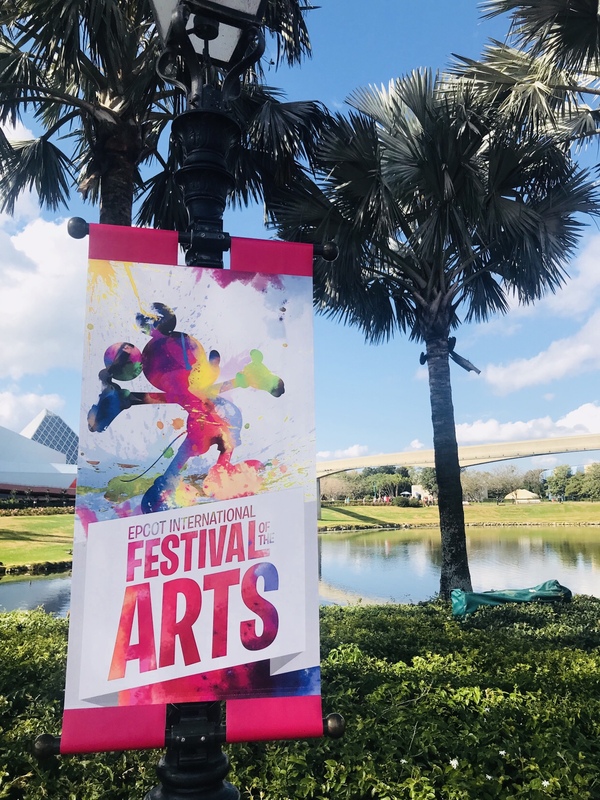 Please check the times guide upon entry to Epcot to ensure you don’t miss your favorites! Ralph & Venelope – Character Spot, separate from Mickey, Minnie, and Goofy. Baymax – Character Spot, separate from Mickey, Minnie, and Goofy. Joy & Sadness – Character Spot, separate from Mickey, Minnie, and Goofy. To view all Epcot has to offer go here. 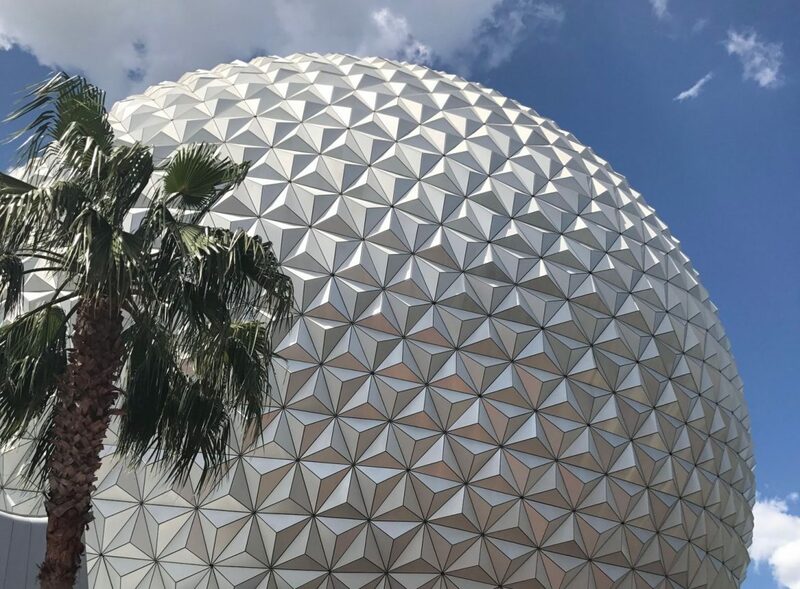 *The three most popular attractions at Epcot are in the Tier One FastPass category, meaning you can only select one of the three popular attractions. Table Service dining times are not included in the touring plans. I do suggest you sit down for one meal per day. It gives everyone a chance to relax and enjoy some air conditioning. Make your dining reservation to match up with the dining time listed if possible. You can adjust the schedule if need be to accommodate the meal you’d like to experience. *Suggested FastPass selections and times are in red. Arrive at Epcot 30-45 minutes prior to park opening. If the park will be crowded I suggest arriving 45 minutes prior. You can view the current crowd calendar here. IllumiNations – see times guide for nightly show times. *The Ride Lovers Touring Plan only lists a few possible Character Meet and Greets. Please fill in characters where you see fit while being mindful of the time. As long as you’re moving through the list within the morning, afternoon, evening time period shown you will be able to see characters as desired. If the adults would like to experience Test Track, Soarin and Mission Space use the Ride Lovers Touring Plan and Rider Swap option. The adult waiting with the shorter children can use the wait time to meet characters or play on the festival playgrounds. *The Touring Plan for Families with Small Kids does not list ALL of the available Character Meet and Greets. Please fill in characters where you see fit while being mindful of the time. As long as you’re moving through the list within the morning, afternoon, evening time period shown you will be able to see characters as desired. Character Tour Continued into the World Showcase – going towards Canada first. Mulan only meets until 4:50, if she is on your list of must meet, start the World Showcase Character Tour from the bottom of this list. *Depending on crowd levels and character wait times it may be impossible to meet all of the characters in one day. Please know your priorities and adjust times as necessary. Use the Times Guide to ensure current character meeting times and availability. 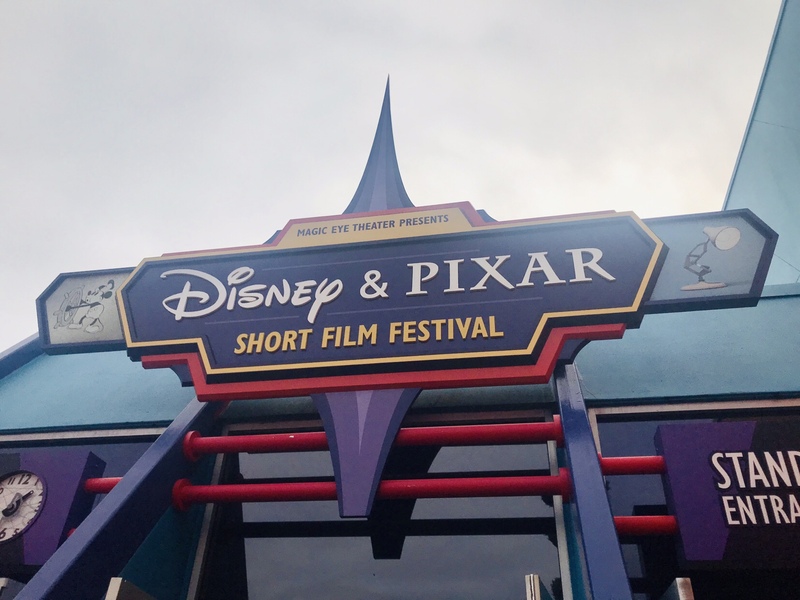 It is suggested you get in line 15 – 20 minutes prior to the characters meet time in order to meet them. Cast Members will close the lines if they get too long for the allotted meet and greet time. Find out about all current and upcoming refurbishments here and new attractions coming soon here. Celebrating 35 years of Epcot on October 1st! The 2017 Epcot Food & Wine?Festival has arrived! The?2017 Epcot Food & Wine Festival is off to a great start! ?Follow along on my?Facebook and Instagram?page “Love of the Magic” for pictures and posts! ?The Food & Wine Festival, and the fall season is my favorite time of year at Disney World! ?Epcot is my “go-to” park for the next few months! ?There is so much to experience Epcot Food & Wine Festival, you just won’t be able to see it all in one day! Don’t forget to place your stickers on your passport as you make your way around the world! Festival Center Hours are daily from 9 am to park closing. Don’t miss photo opportunities including Magic Shots! Features: Over 100 international foods at 35 different kiosks. 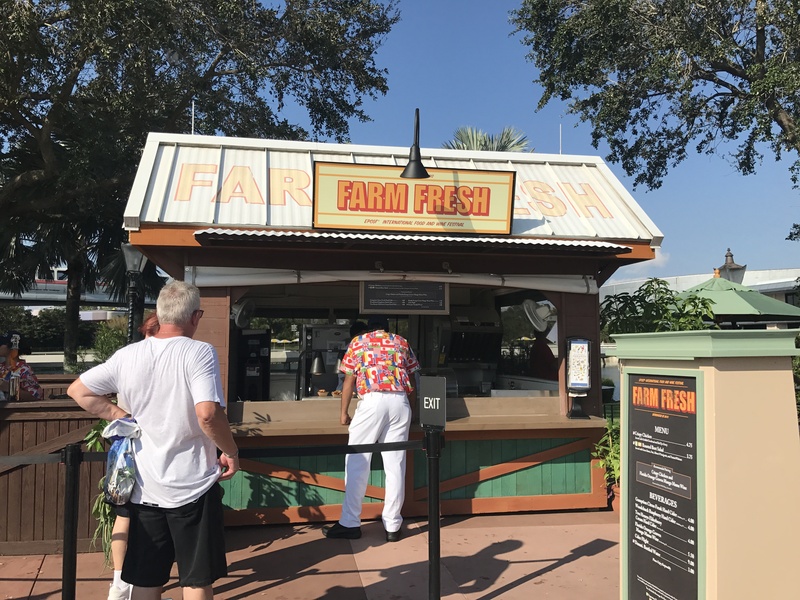 Don’t Miss: The 5 New Kiosks this year! Need to Know:? 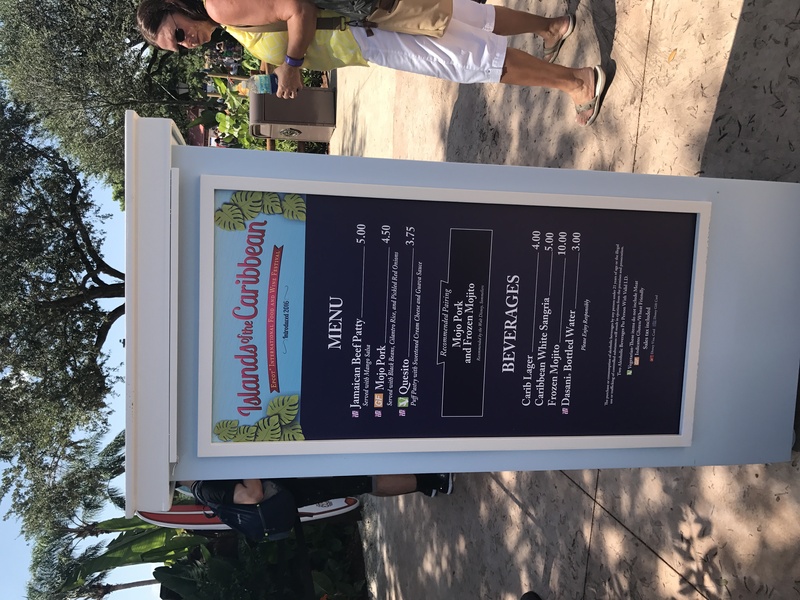 Food and beverages are at an additional charge. ?You can purchase a Festival Tasting Sampler credential good for 8 food or beverage items for $65 or a mini festival gift card with a wearable wrist-let for ease of paying. ?With a $200 credit placed on your gift card you will also receive a themed lanyard and carrying sleeve. Features: Some of your favorite artists! Don’t Miss: This is a personal one! ?Find your favorite artist and come see them! Need to Know: ?You can book a dining package at select restaurants to get reserved seating in the theater. ?Visit My Disney Experience or call 407-WDW-DINE to make reservations. ?Dining reservation time dictates which show you will have reserved seating at. ?Standby seating lines start apx 30 mins before show time. Monday – Thursday @ 2:30 pm; Friday – Sunday @ 12:15 pm & 2:30 pm ?Click here for complete schedule? 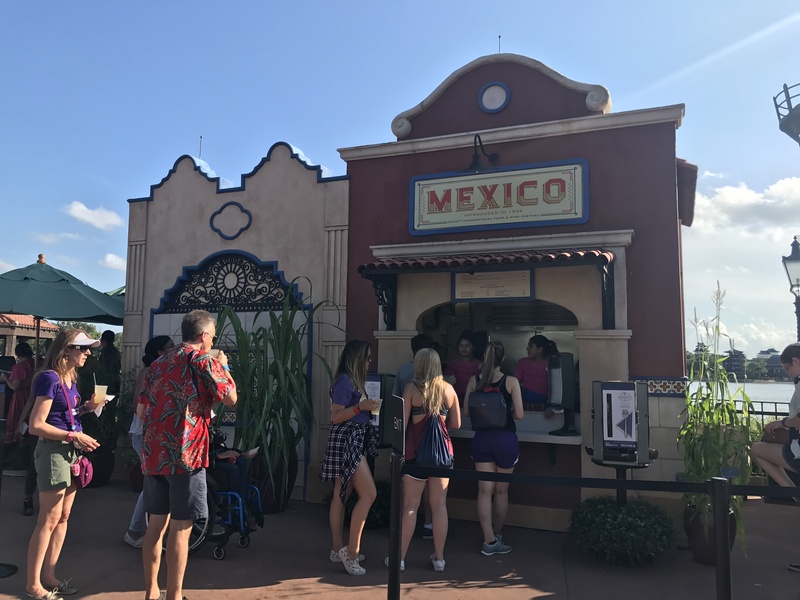 Features:?Remy hiding around the World Showcase Need to Know:?Pick up your map for $5.99 at Festival Center, Pin Central, Disney Traders or World Traveler. ?Then travel the World Showcase looking for hidden Remy’s. ?Match up the item with him, with the correct sticker and place it on the map. ?When the map is completed, return it to one of the above locations for your choice of prizes. ?This year the prize is one of four Remy key chains. Epcot Food & Wine Festival merchandise can be purchased at Festival Center and throughout Epcot. ?Visit my?Facebook post for a look at this years festival merchandise. ?Follow along for future posts. 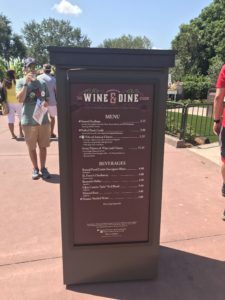 I’ve covered everything you need to know before visiting Epcot Food & Wine Festival! ?Questions? Contact me on?Facebook page “Love of the Magic”! 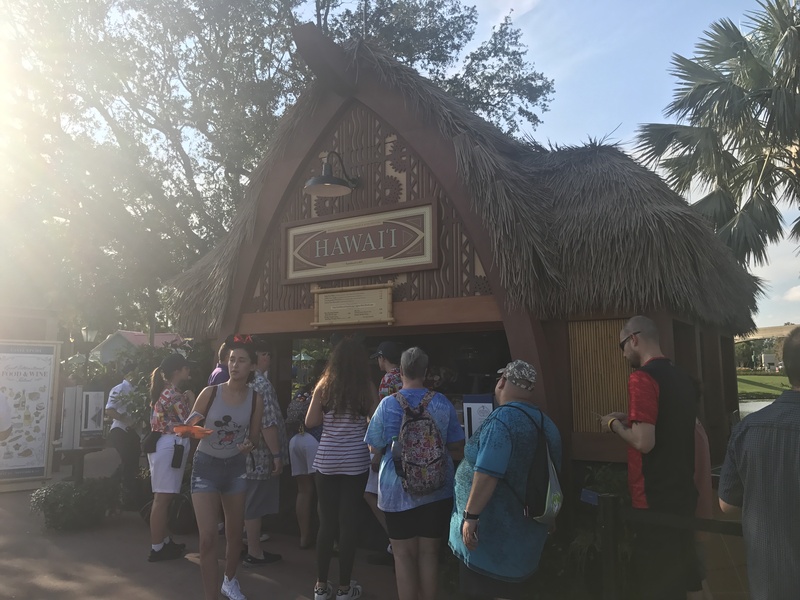 This is a guest post written by Disney lover and author of The E-Ticket Life: Stories, Essays and Lessons from my Decidedly Disney Travels, Kyle Burbank. ?I met Kyle at the D23 Expo in Anaheim, CA last August. ?He too shares my love of Disney World in the fall! ?It is a fantastic time of year to visit for many reasons! ?Read below to see why! There are many pros and cons to visiting Walt Disney World at various times throughout the year. Like who can deny the beauty of the Parks during the winter holidays? Or maybe night owls prefer going during at busy times like Spring Break just so they can enjoy Magic Kingdom until 1 a.m. ? long after the kids and families have headed back to their hotel rooms. Then, of course, some people like to make WDW their summer retreat and Fourth of July celebration. When I visited Walt Disney World for the first time in 15 years ? and my first time as an ?adult? ? my quest for near-instant gratification after visiting the D23 Expo led me to inadvertently visit the Parks during what would become my favorite time of year: late September and early October. These autumnal getaways have since become my calling card over the past few years. As a result, I?ll tell anyone who will listen just why I think the timing is so great. And so, without further ado, here (in no particular order) is my list of reasons why the early fall is the perfect time for a trip to WDW. 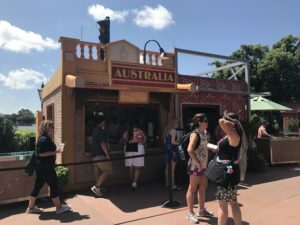 Now in its 20th year, the Epcot International Food and Wine fest is something I inexplicably love, even if the last word of title doesn?t appeal so much to me.? To be honest, I?m quite sure why I enjoy buying such tiny portions of food for so much money, but I can never resist. Being a picky eater, I think part of my obsession is just being able to brag about cuisine I?ve had from different regions. ?I?m not that bad! 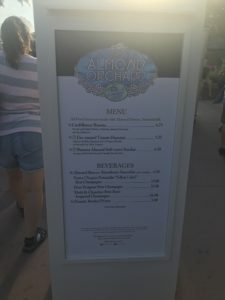 I had South African food at Epcot once!? Although I never seem to go on a week for it, I do appreciate the idea of the Eat to the Beat concert series that runs throughout the festival. The way the bookings have been going lately, it will only be a matter of time before all of my favorite bands from high school join the line up. OK, so maybe Blink 182 won?t be invited, but otherwise? This can always change, but, in my experiences, the crowds in late September/early October are delightfully low. Granted, there may be some crowds around the Food and Wine Festival area (especially on weekends) but that scene doesn?t usually make it over to the rides. These light crowds are what made it so easy to see everything I wanted to on that initial trip ? and I had a lot to catch up on. Again, this can always change and vary, but, on the whole, Orlando seems to be a little bit cooler and a little less rainy in fall than during the summer. Sure, that legendary Florida humidity may still catch up with you, but the afternoon downpours aren?t a daily ritual during this time of year. I can?t stress how hit or miss this part of my list is, but it could always be worse ? it could be July. You might think that this would be geared mostly towards kids? and you might have a point. Even though the astronomical amount of candy you can acquire at these parties doesn?t excite me as it may have when I was a child, the rest of the festivities are right up my alley. First, as someone who closes their eyes in the graveyard scene of The Haunted Mansion, the ?Not-So-Scary? disclaimer is not only appreciated but it?s also requirement for me. Knowing that I can walk safely around the park without shadowy figures jumping out to startle me is a relief so great that I can?t even put it into words. What makes these parties worth it for me is the low crowd turn out during the earlier dates and the entertainment. I may not be the biggest parade guy, but I have to say that the Boo To You parade may be my all-time favorite. There are fireworks too, but seriously: watch this parade! So there you have it: all the reasons I love early autumn in Walt Disney World. For more stories about my fall visits to WDW, my toddler-esque eating habits, my scaredy-cat tendencies and more, be sure to check out my new book, The E-Ticket Life: Stories, Essays, and Lessons Learned From My Decidedly Disney Travels available now from Laughing Place Press. Hi, I'm Jamie, Disney World local, traveling mama, entrepreneur and travel advisor. 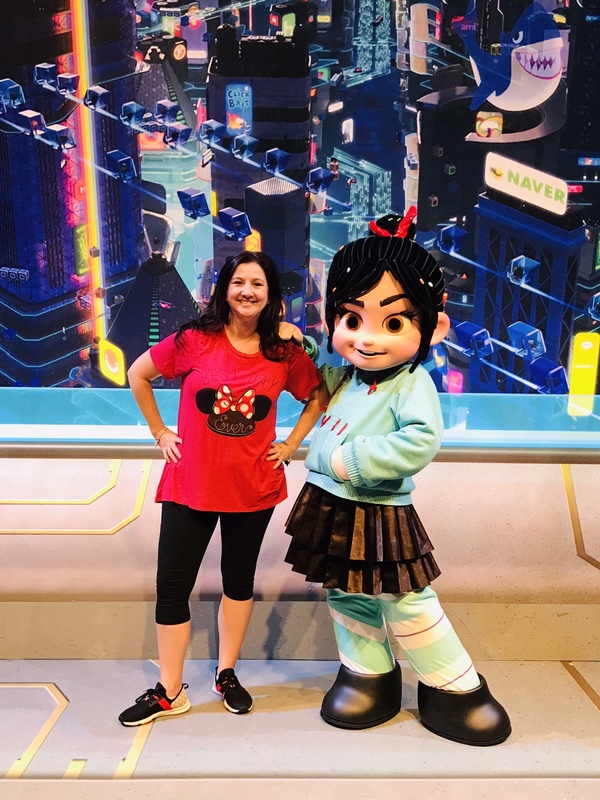 I'm addicted to Disney, traveling and exploring the world with my family, and have a passion for helping families experience the magic of travel. My home is filled with love and chaos, 2 crazy girls, 2 large dogs, and the most spectacular architect and Disney Cast Member I call my husband. We live in Florida and spend our weekends playing at Orlando's many theme parks and visiting the beach. 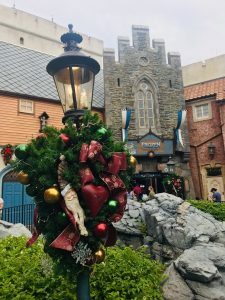 In 2015, after helping numerous families plan their vacations to various Disney Destinations, I started a blog to answer all of the many travel questions I received daily. In 2016, the blog grew into a travel agency, and Love of the Magic Vacations was born. With a team of more than 30, we spend our days creating family vacations around the world. What started as a blog is now a full service, world wide vacation destination planning service. I create custom itineraries for each of my clients that not only meets, but exceeds expectations. There is no greater gift than making memories while sharing the world and it's cultures with your kids. @2018 - loveofthemagic.com. All Right Reserved.